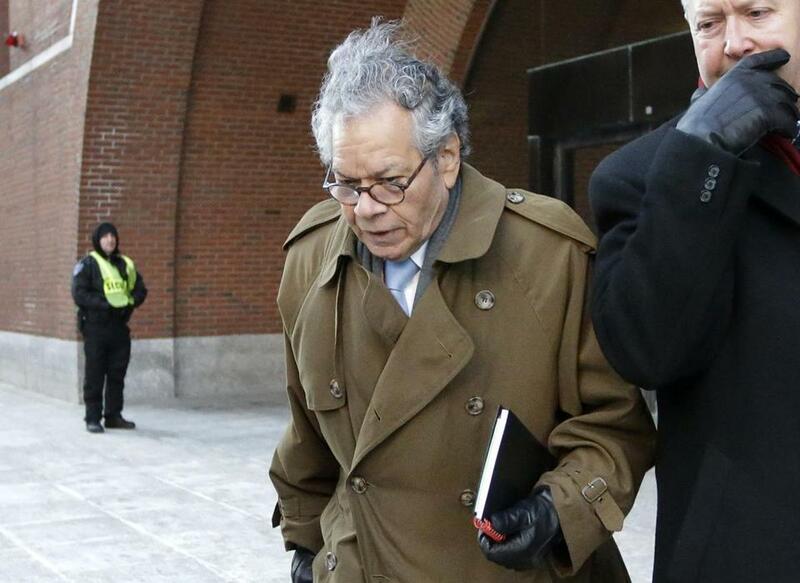 Prosecutors have accused Insys Therapeutics founder John Kapoor (above) of funneling millions of dollars in bribes and kickbacks to practitioners so they would prescribe Subsys to patients who often did not need the powerful, highly addictive drug. Insys Therapeutics employees quickly learned the best tactics for tricking insurers into approving payments for the company’s powerful Fentanyl spray, a former company manager testified Friday in a federal landmark racketeering trial of former company executives. Employees of the company’s reimbursement center, an office dedicated to persuading insurers into paying for Subsys, Insys’s signature painkiller, learned the names of other medications patients needed to have tried and failed before they could be approved for Subsys. They told insurers that a patient had found a host of pain medications ineffective without knowing anything about that patient’s history with other painkillers, Elizabeth Gurrieri, a former manager of reimbursement services for Arizona-based Insys, testified in federal court in Boston. Employees told insurers the patient had difficulty swallowing, not because it was the truth, but because they knew it was more likely to lead to approvals, she said. A receptionist was even trained to answer calls by saying “reimbursement center” so that insurance agents would think they were contacting a doctor’s office, rather than a company looking to boost its bottom line, Gurrieri testified. “We were misleading the insurance companies,” she said. And high-ranking Insys executives knew that, she said. Prosecutors have accused John Kapoor, the company’s founder, Michael Gurry, former vice president of managed markets, Richard Simon, former national director of sale and Sunrise Lee and Joseph Rowan, former regional sales directors, of funneling millions of dollars in bribes and kickbacks to practitioners so they would prescribe Subsys to patients who often did not need the powerful and highly addictive drug. Prosecutors are also seeking to prove the executives conspired to defraud insurance companies through its reimbursement center, which the company set up in November 2012 to gain approvals for what are known as prior authorizations, which insurers require from a doctor to make sure patients qualify for certain medications. Gurrieri pleaded guilty to one count of conspiracy to commit wire fraud in June 2017 as part of an agreement to cooperate with prosecutors. She faces between 18 months and 5 years in prison. Gurrieri’s testimony Friday focused largely against Gurry, who she said encouraged her to mislead insurers. “He didn’t actually use the word mislead,” she testified. But he would encourage employees to sidestep the rigid requirements of insurers who otherwise would not approve reimbursements for Subsys, which the federal government had approved to ease severe pain of patients with an active cancer diagnosis. Insurers would only reimburse for Subsys if a patient had an active cancer diagnosis, severe pain, and had unsuccessfully tried other similar painkillers. Gurry and other company officials told employees that they could cite a cancer diagnosis for patients who did not currently have the disease but had in the past, said Gurrieri, who started out as a prior authorization specialist in October 2012 and was promoted to manager in March 2014. “If anywhere in the history of the patient stated cancer, then we were told we were allowed to use that in the diagnosis,” Gurrieri said. “What if it was skin cancer 20 years ago?” Assistant US Attorney David Lazarus asked. “That was OK,” she replied. “Did you know that what you were telling insurance companies was a lie?” Lazarus asked. Gurrieri supervised workers at the reimbursement center, and admitted she trained the employees to lie. The reimbursement center was created after company officials saw that the outside agency they were using to obtain approvals was showing poor results, former company officials have testified. Michael Babich, the former Insys CEO who pleaded guilty in January to conspiracy and mail fraud after reaching a cooperation agreement with prosecutors, has testified that the outside agency had only a 35 percent approval rating with prior authorizations. When the company set up its own reimbursement center, that rating shot up to 70 percent, Babich testified.